Designed to move with you, H9i headphones are packed with convenient features and luxurious materials. These over-ear headphones feature advanced hybrid Active Noise Cancellation (ANC) to reduce both high- and low-frequency background noises such as traffic or human voices. With hybrid ANC, you can fully immerse yourself in rich, authentic Bang & Olufsen Signature Sound. Perfect for commuting, H9i headphones have an innovative aluminum touch interface that lets you control volume, track selection and more with simple gestures. Transparency Mode allows you to tune in, or out, of your surroundings with a simple swipe of the touchpad and an intuitive proximity sensor stops playback when you remove your headphones, resuming play when you put them back on. With an intelligent battery saving function, these headphones are ideal for traveling, offering up to 18 hours of playtime when using Bluetooth and ANC. An easily replaceable battery is integrated into the ear cup, so you can keep the beat going on even longer journeys. To expand your sound, these wireless headphones can be easily paired with up to two devices at once. With an impressive 121-foot Bluetooth range, you aren’t tethered to your source and can move freely while still enjoying seamless music streaming. H9i is also compatible with the Beoplay App, where you can control the ANC function and customize tonal ranges. This lets you match your listening experience to your activity, whether you’re commuting, enjoying a podcast or just relaxing. 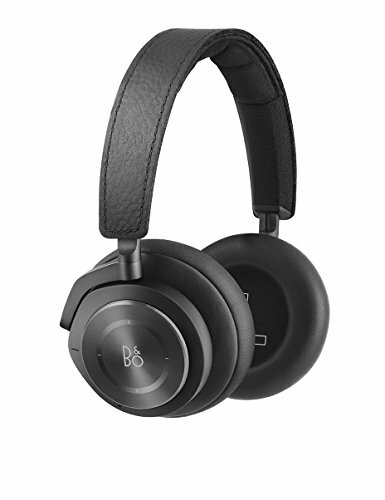 If you have any questions about this product by B&O PLAY by Bang & Olufsen, contact us by completing and submitting the form below. If you are looking for a specif part number, please include it with your message.